Xi’s January 2 remarks betrayed three fundamental misunderstandings of the Taiwan situation. On January 2, Chinese President and Chinese Communist Party (CCP) General Secretary Xi Jinping gave a major address directed at Taiwan. Officially, the speech was to mark the 40th anniversary of the 1979 “Message to Compatriots in Taiwan,” in which the Fifth National People’s Congress — under strongman Deng Xiaoping — first started to push for “reunification” (on China’s terms) after the normalization of U.S.-China relations. In his Tuesday address, Xi emphasized that the unification of China and Taiwan is “the great trend of history” and an important part of Xi’s China Dream of national rejuvenation. According to Xi, Taiwan’s status is not up for any kind of negotiation. As other leaders have done, Xi held out “one country, two systems” as a model for Taiwan. While he did call for peaceful unification, in the next breath Xi warned that China reserved the option of using force if Taiwan didn’t go along. He also warned that “the Taiwan question” was a Chinese internal affair, and that he would not tolerate “foreign interference.” That was a clear reference to the United States, which maintains friendly, albeit informal, relations with Taiwan, and provides it – in accordance with the 1979 Taiwan Relations Act — with arms of a defensive character, and maintains the capacity of the United States to resist any resort to force or other forms of coercion that would jeopardize the security, or the social or economic system, of the people on Taiwan. Xi also referred to Taiwan independence as a “dead end,” although the country has been functioning as a de facto independent country since 1949, when Chiang Kai-shek’s Nationalists fled to the island. The People’s Republic of China has never exercised any control or sovereignty over the island and its people, which transformed into a vibrant democracy after its transition from authoritarian Kuomintang rule in the early 1990s. In her rebuttal of Xi on the same day, Taiwan’s President Tsai Ing-wen emphasized that her government has never accepted the “1992 Consensus,” and that the vast majority of public opinion in Taiwan is resolutely opposed to “one country, two systems” model as outlined by Xi in his speech. 4) it must be governments or government-authorized agencies that engage in negotiations. Any political consultations that are not authorized and monitored by the people cannot be called “democratic consultations.” This is Taiwan’s position, a democratic position. First, the people of Taiwan have worked long and hard to achieve a democratic political system on their island. 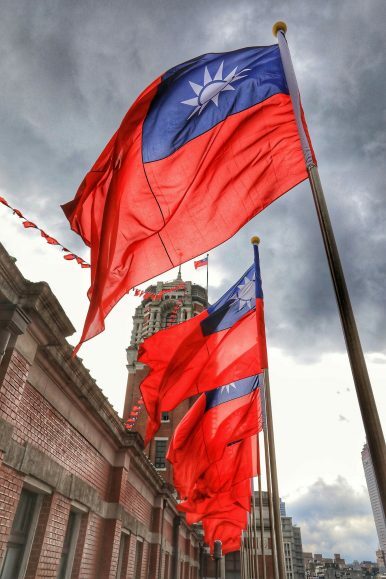 They value their own Taiwanese identity, sovereignty, and democracy. They don’t want to give that up in order to become part of a repressive and authoritarian China. The fact that Tsai and her Democratic Progressive Party (DPP) lost ground in the midterm elections on November 24, 2018 is not directly connected to cross-strait relations. Instead, voters were concerned with local issues like disenchantment over her labor and pension policies, and dissatisfaction that other reforms she initiated, such as judicial reform, transitional justice, and marriage equality, did not make sufficient progress. Yes, the overall winner was the more China-friendly Kuomintang, but even the KMT candidates ran on local issues (such as new mayor Han Kuo-yu’s promise to “make Kaohsiung a great city”), and studiously avoided even mentioning China or its efforts to influence the Taiwan vote. Thus almost no one in Taiwan is waiting for any integration with China, or willing to give up Taiwan’s freedom, democracy, and sovereignty. People simply want to live in peace with their giant neighbor, and at the same time gain more international space as a member of the international family of nations. Second, Xi’s promises of “one country, two systems” are rejected by an overwhelming majority of people in Taiwan. The Taiwanese can see what is happening with freedoms in Hong Kong, and the nominally autonomous regions of Xinjiang and Tibet, which were given similar promises. Continuing to hold this up as a model for Taiwan increasingly lacks credibility, if it ever had any credibility to the Taiwanese. And third, peace and stability in the Taiwan Strait is not an “internal affair of China”: it is a core interest of the United States, which values Taiwan as a vibrant democracy, and as a responsible stakeholder in the international community. Again, according to the 1979 Taiwan Relations Act, the United States insists that Taiwan’s future be determined peacefully with the consent of the people in Taiwan, and rightly so. The recent shift in U.S.-China relations from engagement to competition and even confrontation over China’s aggressive behavior on a broad range of issues, such as the South China Sea, trade and intellectual property, and China objectionable treatment of Uyghurs in Xinjiang will thus mean that the United States will push back faster and harder if and when China makes increasingly threatening moves against Taiwan. It is thus time for Xi to look at Taiwan in new light: Beijing needs to move away from the old animosities, contradictions, and perceptions dating from the Chinese Civil War, and move toward peaceful coexistence. Perpetuation of the current zero-sum strategy of military, economic, and political pressure is not conducive to cross-strait relations. Peace and stability across the Taiwan Strait can only be achieved if China accepts Taiwan as a friendly neighbor. Gerrit van der Wees is a former Dutch diplomat. Between 1980 and 2016 he served as editor of Taiwan Communiqué. Currently he teaches History of Taiwan at George Mason University.